Since the Moto X launched last year we’ve all been looking for the same sort of functionality as the Active Display from Motorola. While these results can be achieved with some tomfoolery and with the help of root, not everyone wants to go that far. Not to mention the battery impact that using the display like that has on most devices. 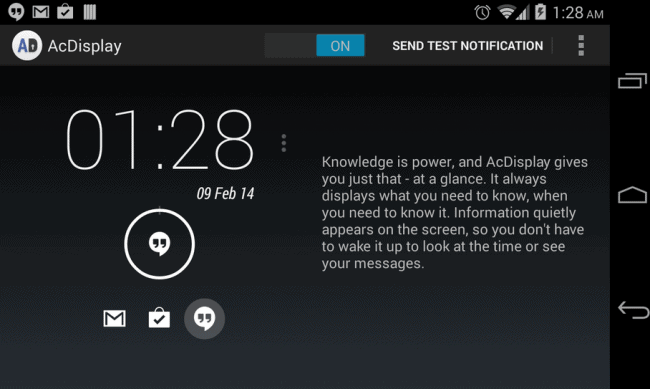 This is where AcDisplay comes in, and gives you similar functionality, by simply popping up these notifications on your display for a moment or two for you to action them. It’s simple and easy to use, while not blaringly obvious like that of the iPhone. Brand loyalty is incredibly powerful these days and if you don’t have it, building it in today’s market is extremely difficult. 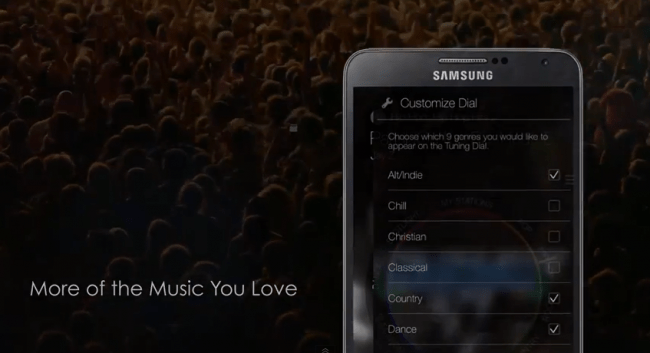 Samsung have maintained good bran loyalty with their customers through perks and freebies, but when they launched Milk Music, they offered something only to their users that everyone else has been offering for a lot longer. Milk Music is nothing special, but it’s nice to be able to get something that other users can’t, and we’re sure this has made a lot of Samsung fans very happy, it’s just a shame Samsung didn’t try all that hard. It’s also only available in the US, which is a bit of a downer. 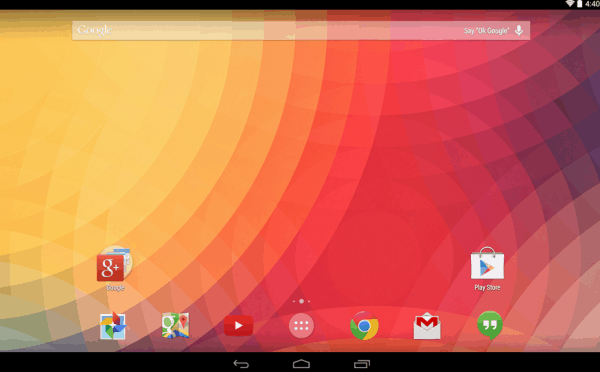 Just recently, we’ve seen a slew of new devices hit the market and now, we’re beginning to see those based on Android 4.4′s launcher hit the store. Inspire Launcher is yet another one of them, and I’ve been using it for a little while now. 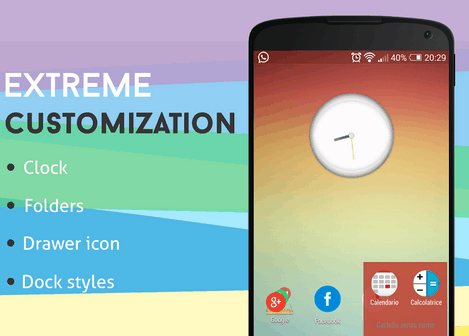 With the same sort of feel as the KitKat launcher, Inspire throws in some extras and allows for far more customization, including the ability to use icon packs. It’s free to try out and play around with, but most of the features are only available in a “prime” version. These days our data allowance is far more precious than we first realize. Much of what we do on our smartphones is online, so getting the most out of the data we pay a premium for is important. Opera Max is a new app from the same folks behind the great browser that aims to drastically reduce the amount of data used when browsing the web, or apps that are accessing the web. 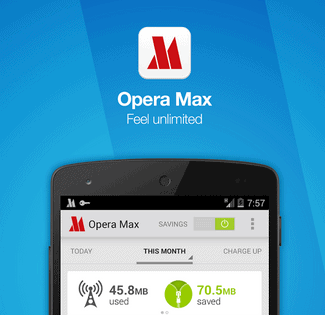 An innovative idea that can hold some very real savings for a lot of users, Opera Max is well worth a try if you keep going over your limit before the month is up. Nexus 5 owners and enterprising folk all over the internet have been running what used to be called the Google Experience Launcher for some time now, but now it’s available to all. As a genuine download from the Play Store, the Google Now Launcher gives your device a more “Googley” look and feel and puts Google Now itself just a homescreen page away. A good-looking launcher that I’d been suing for many months, Google Now Launcher is one of the better ones out there. However, don’t go looking for extra features or anything noteworthy, this is purely for the Google fans out there. Link Bubble practically changes the way we open links to content on the web, you know those pesky URLs that people keep on throwing around the Internet? Well, Link Bubble makes that experience much better, when you click on a link it’ll load in the background while you keep on using your current app. I like to think of it as the middle-click “Open in new Tab” command I use a million times a day for mobile, and it’s awesome. 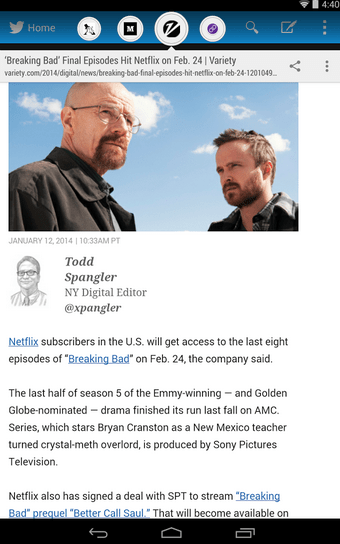 However, it’s not just opening a link in the background that makes Link Bubble so great, it’s a good middleman, too. When you open up an Instagram link from the Twitter app for instance, will take you straight to Twitter, rather then sending you to Chrome or your browser for a needless transfer. A great app for those that love to read online, Link Bubble is awesome. It’s been quite a while since Microsoft Office actually hit Android, but it needed an Office 365 account to be of any use at all. Which, if you haven’t checked, aren’t exactly cheap. So, with the recent announcement that Office for Android was going free for “home use”, it seems that Microsoft have finally learnt their lesson when it comes to mobile. So, the app is now free, but only works on smartphones (really, Microsoft?) 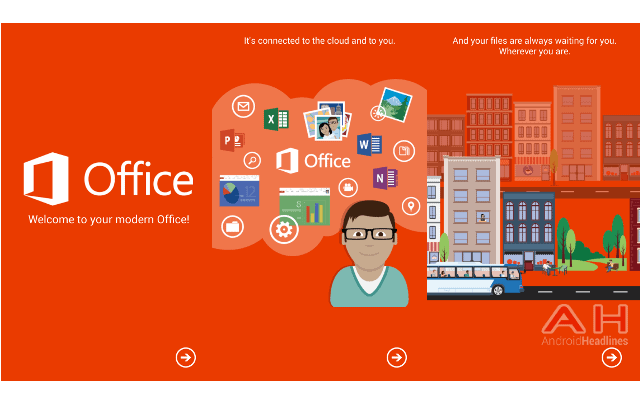 and you can only browse documents, you still need that pricey Office 365 account to actually DO anything. It’s a shame, but it’s actually a very good app and if you live in an Office-ruled world, but refuse to go to Windows Phone, this is definitely worth looking at. 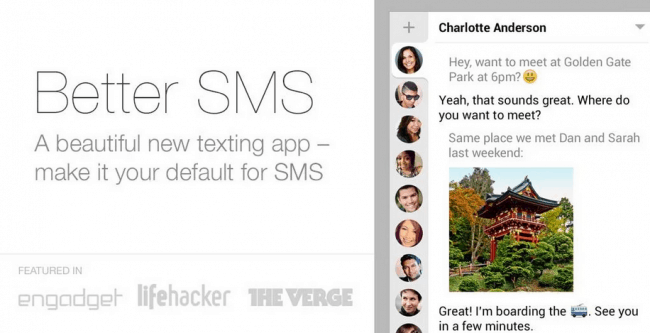 Hello SMS is frankly, one of the cleanest SMS apps I’ve used for a long time. When I first got my Nexus 5, I wasn’t keen to mix business with pleasure, as I mainly use Hangouts to communicate with the staff here. So, since then I’ve been bouncing from SMS app to SMS app, until I settled on Hello. THe dark theme available works great with my Nexus 5, everything is super-slick, well laid out and with some nice touches like subtle pop-up notifications, Hello SMS is one of the best SMS apps out there, it’s nice and easy to use, doesn’t try to reinvent the wheel completely and just lets your conversations stand out as they should do. 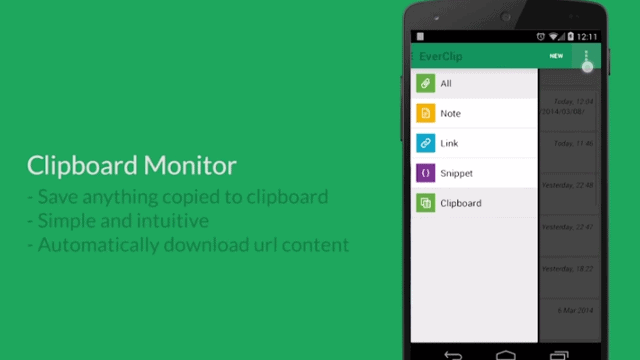 Everclip is essentially a clipboard manager for Android, which allows you to keep on top of links, blocks of text and more that you’ve been using on your device. Great for those using their Android smartphones for work more than play, Everclip can certainly save you a lot of time, but the most interesting feature here is the programmable text expansion feature, which allows you to complete a phrase etc by simply hitting a few keys in a certain pattern, very helpful indeed. Now that WhatsApp has gone to join Facebook – along with the Occulus Rift, sigh – many of you will have been looking for a replacement, Telegram has risen to such a task. Quickly becoming one of the more popular alternatives to WhatsApp on Android, Telegram recently announced that they have as many as 15 Million active users on a daily basis. That’s pretty incredible no matter how you look at it, and with more people using the service, there’s more chance of getting your own friends onto the service, in fact a lot of them might already be using it! 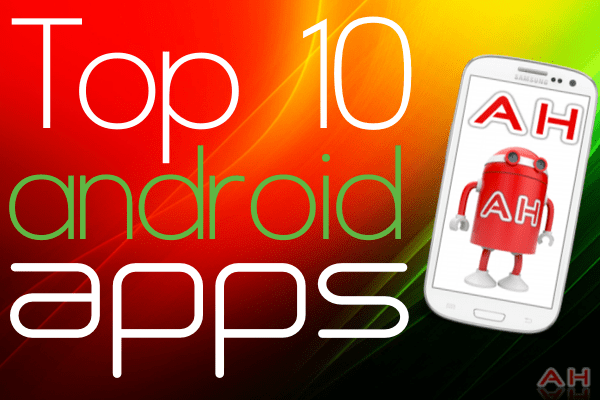 The post Featured: Top 10 Android Apps of the Month – March 2014 appeared first on AndroidHeadlines.com |.